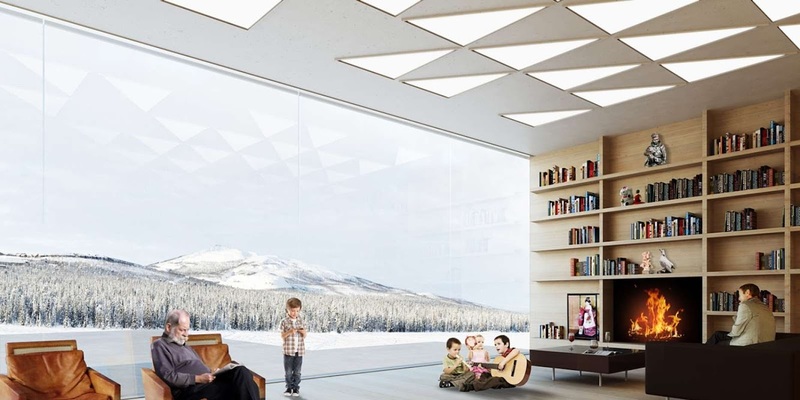 Henning Larsen Architects in collaboration with Tema Landscape Architects Sweden, Wsp Engineers Sweden and UiWe Cultural Designers have won the competition for a new city hall in Kiruna in Northern Sweden. 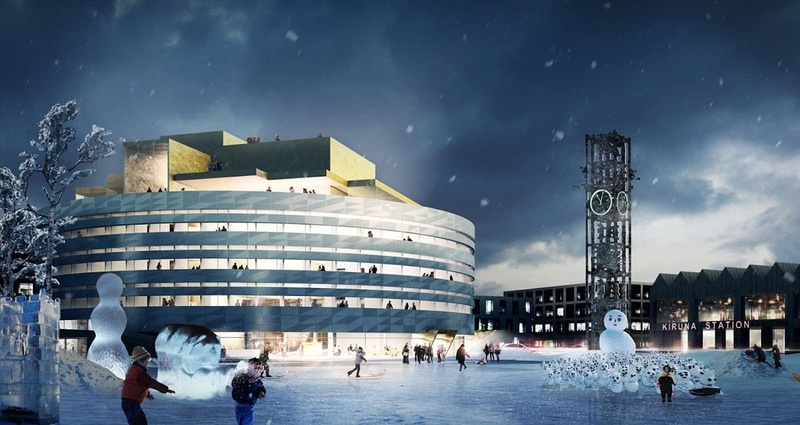 the city hall will mark the beginning of the development of an entirely new city centre in Kiruna. 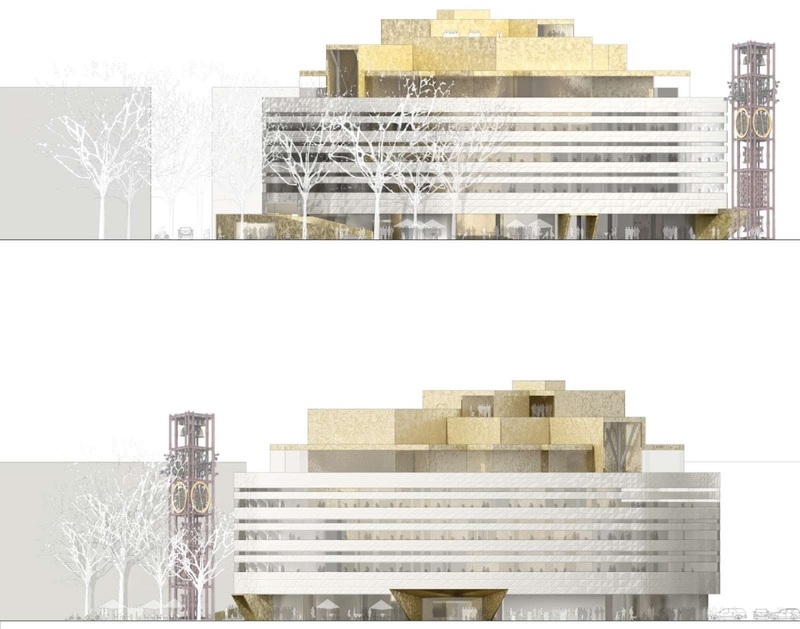 The city hall consists of two building volumes. the inner building is shaped like a crystal inspired by the great deposits of iron ore in the area's underground. the outer building floats like a ring around the crystal, protecting it against the rough weather conditions of the region. “It has been important for us to get the best out of the rough weather and wind conditions and allow as much daylight into the building as possible”, says Peer Teglgaard Jeppesen, Director and Partner at Henning Larsen Architects. 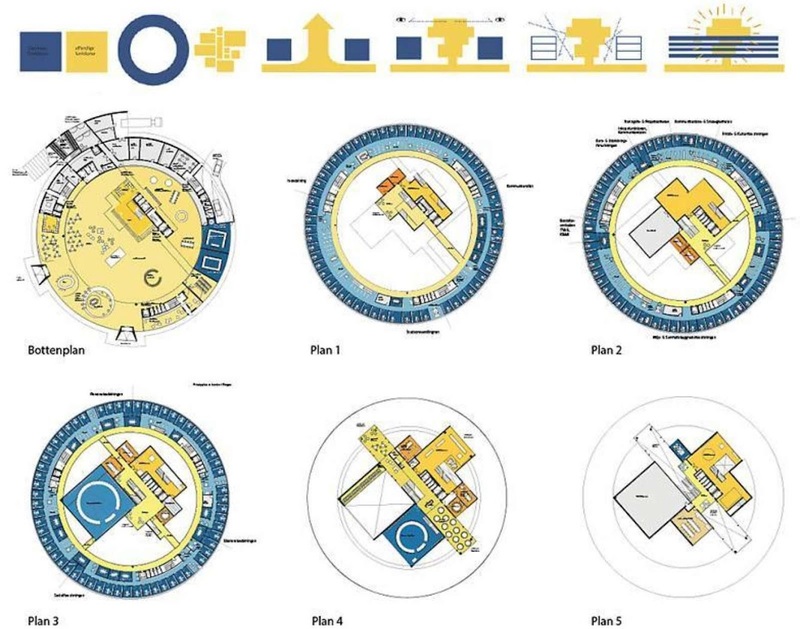 “Kiruna's new city hall is a democratic building, open to everybody. 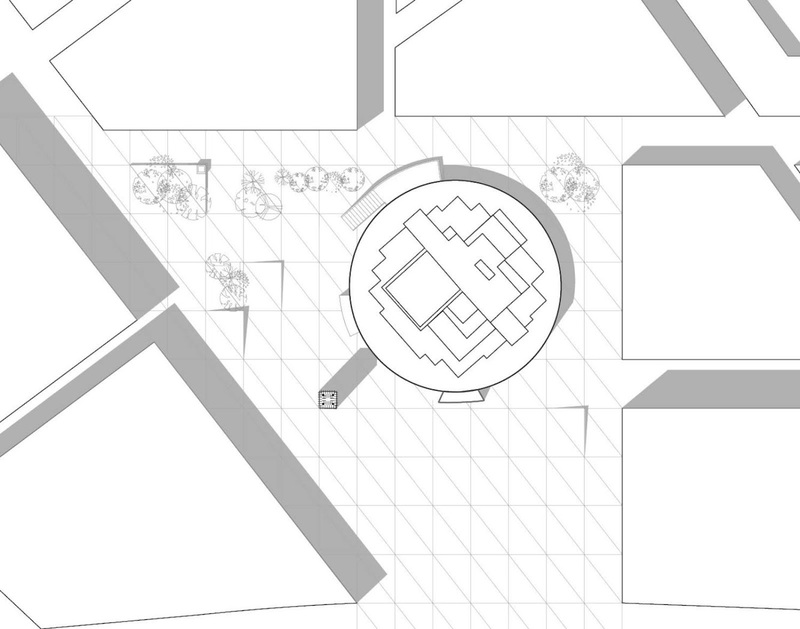 Inside the building, the democratic process is supported by the interplay between offices at the periphery and public functions at the heart of the building.” the round shape of the new city hall creates a better microclimate both inside and outside. the shape allows 17 % more daylight to pour into the volume. the city hall has already been named the Crystal. 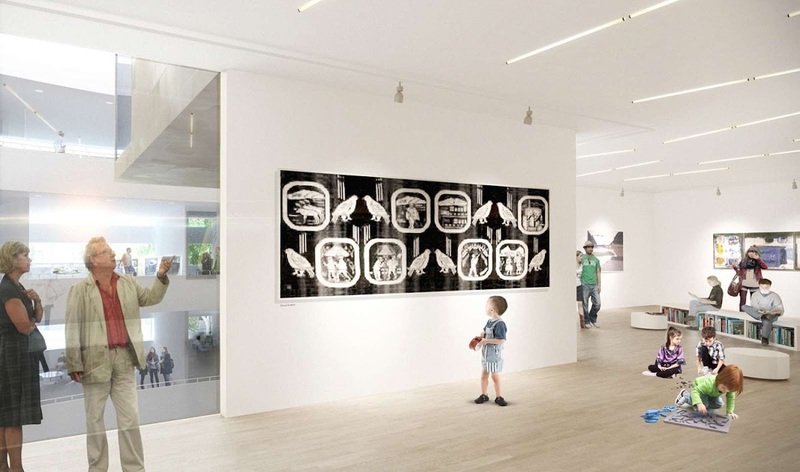 It is inspired by the city's special character, culture and history. Kiruna's existing city hall is a unique piece of architecture from 1958, which was designed by Artur von Schmalensee. the new city hall refers to the old one in several ways. 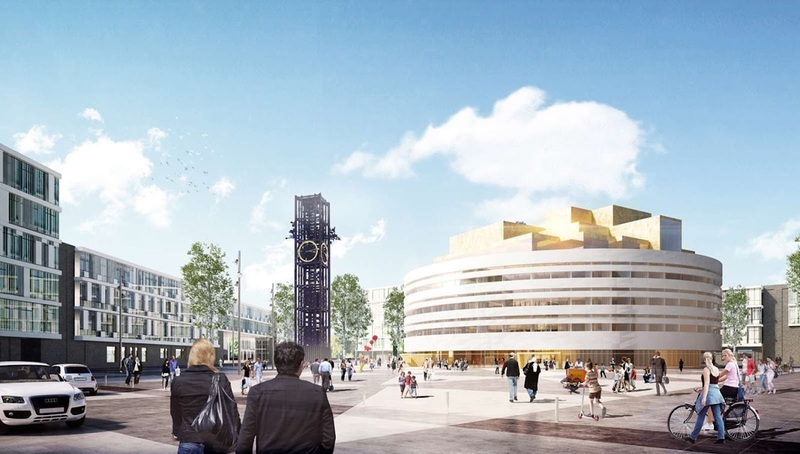 the bell tower from the listed city hall will be re-used in the square, just as materials and building parts will be re-used to the extent possible. “The Crystal is a city hall that we can be proud of, and we are delighted to present this particular proposal as winner today. in the assessment, we have sought help from several experts and various reports. We have also had many comments from the public, and naturally, we have considered these in the jury work, too”, says Lisbeth Nilsson, Chairman of the Jury. 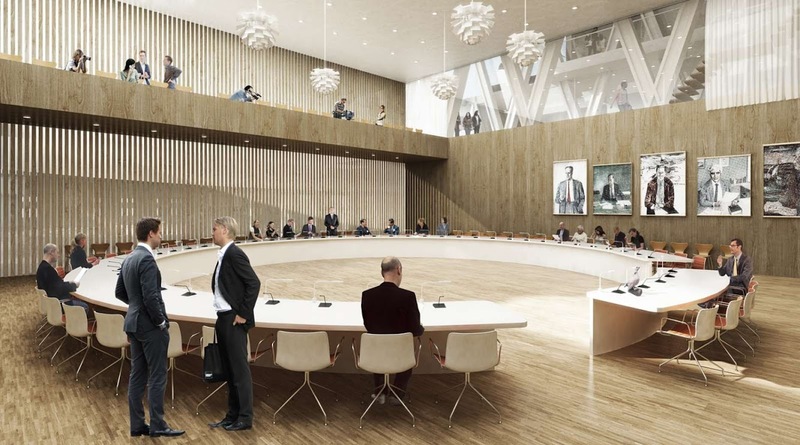 Kiruna Municipality is moving the existing city hall and surrounding buildings, because of the effect of the excavations on the city's underground. A total of 2,500 flats and 200,000 m2 of commercial, office, school and healthcare buildings will have to be moved by 2035. The city hall is the first large building to be affected by the excavations. Thus, the new city hall becomes the starting signal for the new city centre in Kiruna. According to plans, it is to be inaugurated in 2016. 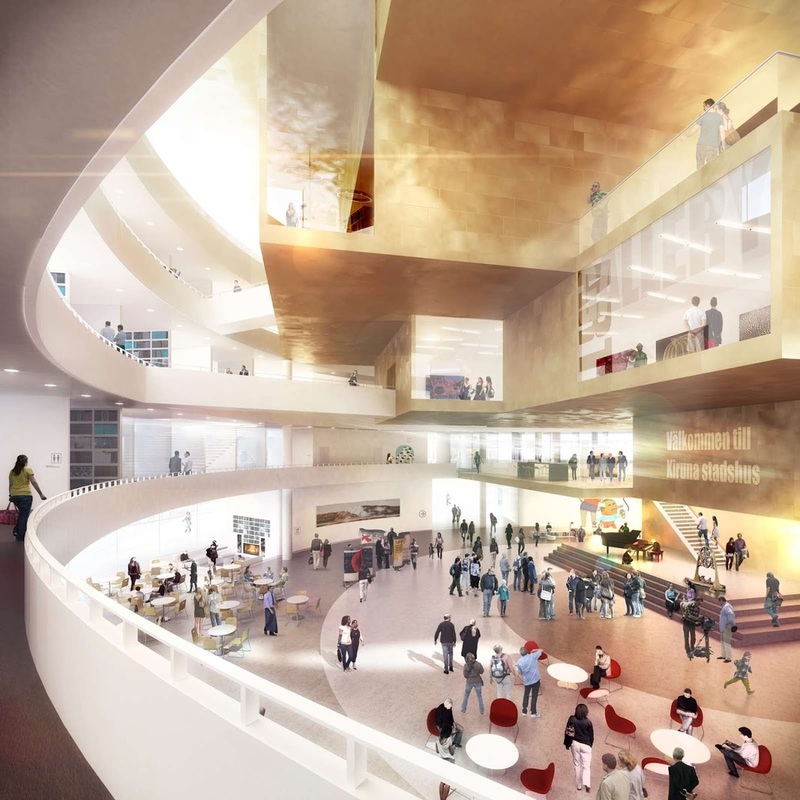 Henning Larsen Architects has designed a number of distinctive, prize-winning buildings in Sweden, including Malmö City Library, Uppsala Concert and Congress Hall and Umeå Art Museum and School of Architecture.